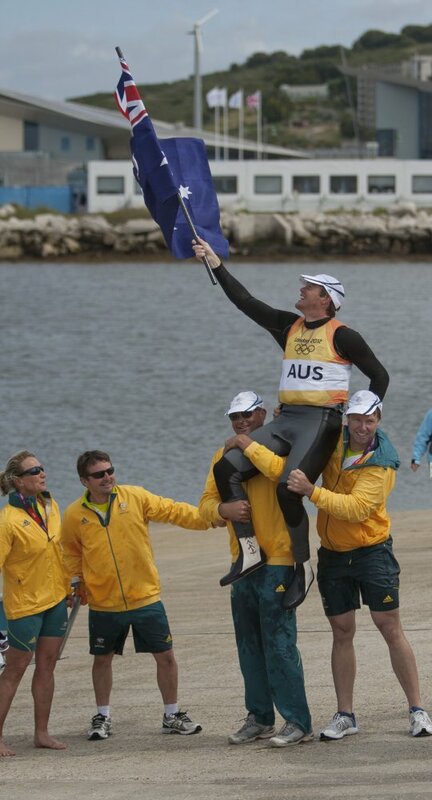 Tom Slingsby has won gold in the Laser class on a historic day for Australian sailing at the London 2012 Olympic Games. 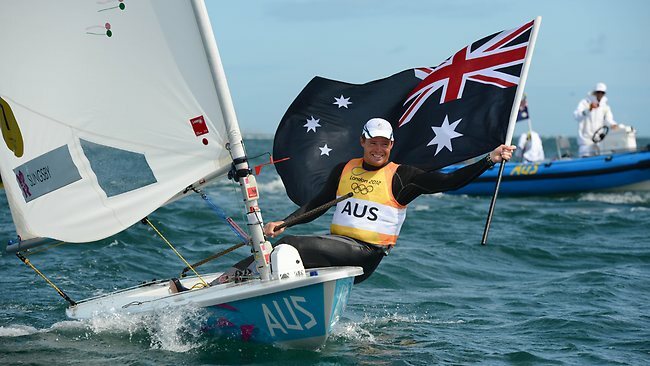 Slingsby’s gold was Australia’s first in the Laser class and followed a dominant display from the five-time World Champion throughout the regatta. 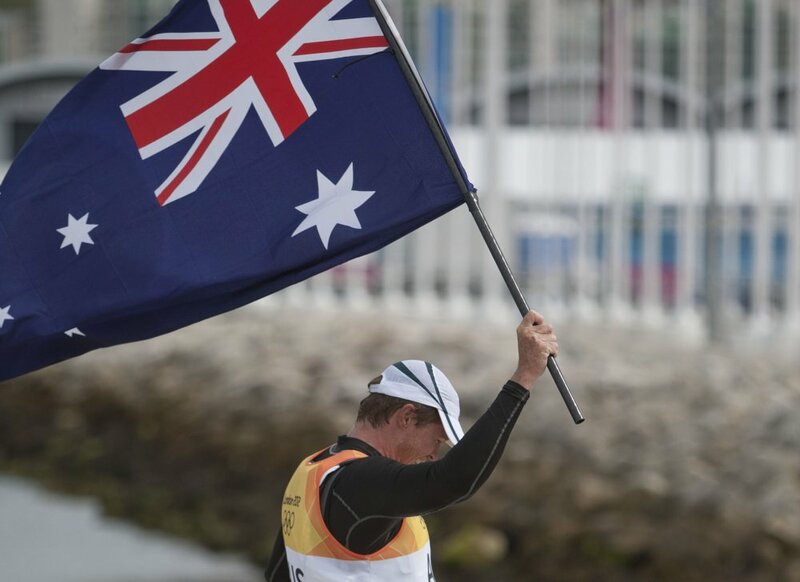 Capping off an amazing day Australia’s 49er crew of Nathan Outteridge and Iain Jensen will take an unassailable 28 point lead into Wednesday’s medal race following a impressive day on the water. The pair now just needs to complete the final race to claim the gold. 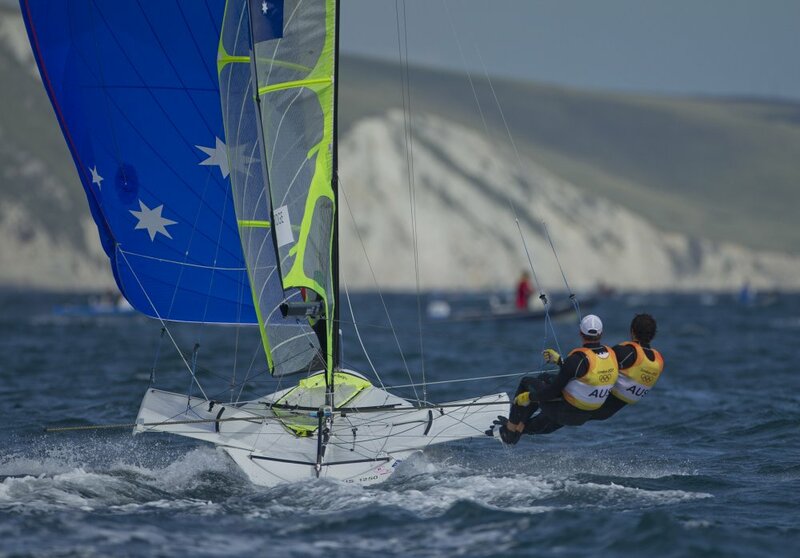 The 470 men’s fleet was back in action on Monday with Mathew Belcher and Malcolm Page holding onto their lead ahead of Great Britain’s Luke Patience and Stuart Bithell. The Australians are one point clear heading into races nine and 10. 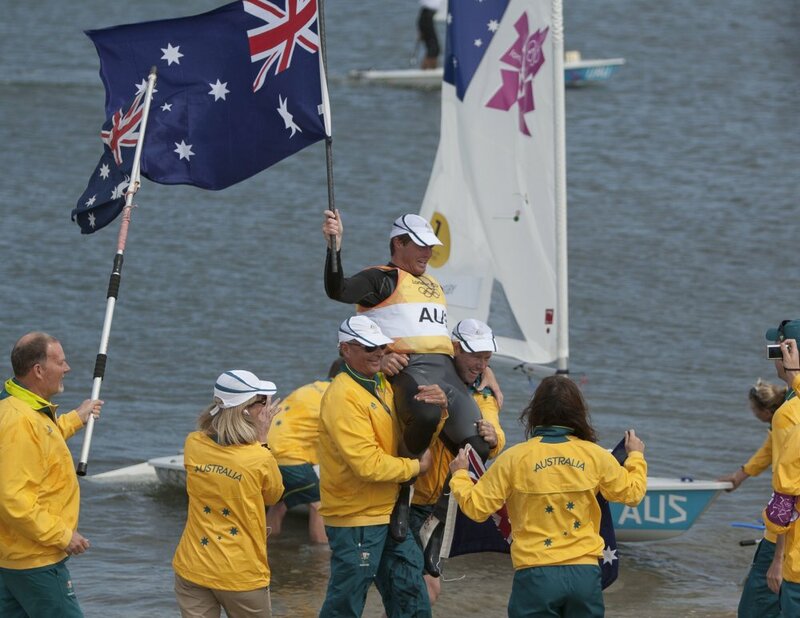 Tom Slingsby went into the Laser medal with a 14 point lead over Cyprus’s Pavlos Kontides, with the Australia having to ensure he finished within six boats of Kontides to claim the gold. Slingsby put the pressure on Kontides early, shadowing his every move and once he got ahead made the race difficult for the Cypriot. 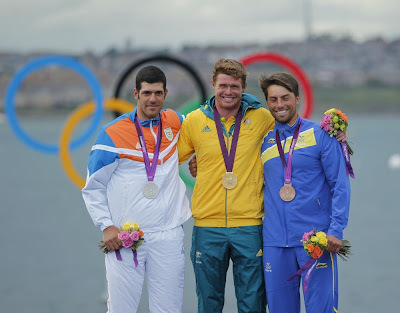 The pair crossed the line ninth and 10th but that didn’t matter, Slingsby had the gold medal. “It’s an amazing feeling, words really can’t describe it,” said Slingsby. “I’ve worked hard for so long now, last time I put in so much hard work and came away with nothing. This time I put in so much more work and finally I’m going home and knowing that all the sacrifice over the years wasn’t for nothing this time, I’ve got a gold medal. Slingsby said that having his family and friends present made the victory even sweeter. 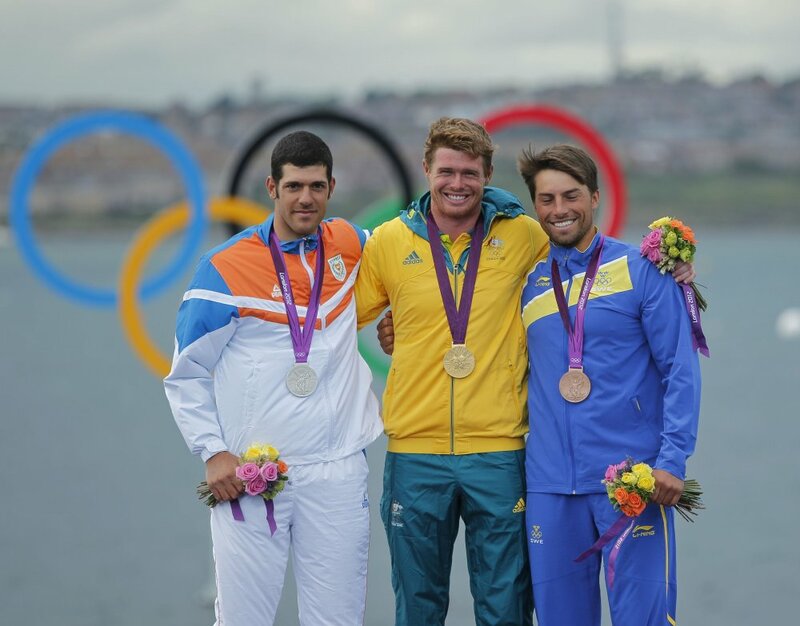 The 27-year-old said that he went into the medal race with a plan in mind having watched the first finals unfold on Sunday. Nathan Outteridge and Iain Jensen started the day 20 points clear of New Zealand’s Peter Burling and Blair Tuke, with the Australians keen to extend their lead as much as possible before Wednesday’s medal race. 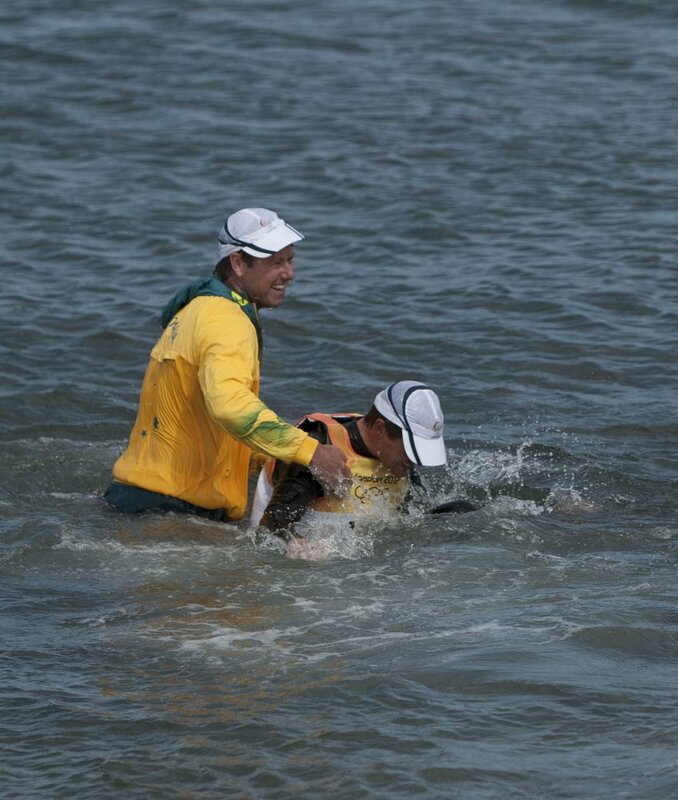 Outteridge and Jensen did better than just extend their lead, they now just need to contest the medal race to claim the gold medal. 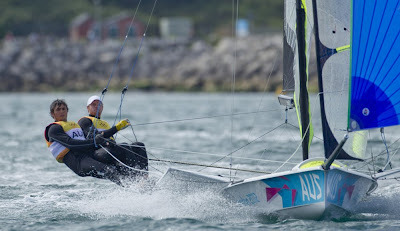 The Australian pair won the first race before crossing the line third in race two, giving them an unassailable 28 point lead over the Kiwis. “We’ve seen the medal races over the last couple of days and what can happen, this morning when we woke up the plan was to stitch it up today so that there was nothing left to worry about. We never thought we’d ever get to this point of being so far in front but it’s amazing that we did it,” he said. 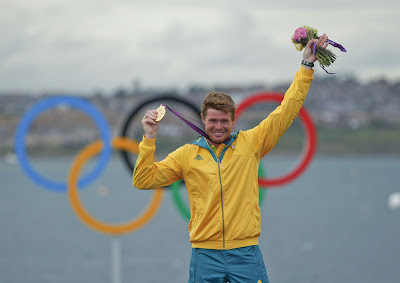 While Outteridge has been to the Olympic Games before, finishing fifth in Beijing, London 2012 is Jensen’s first, and he’s bringing home a gold medal. Mathew Belcher and Malcolm Page continue to lead the 470 men’s class heading into the final two fleet races. 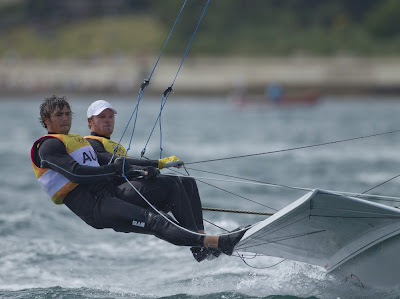 Belcher and Page went into the day with a four point lead over Great Britain’s Luke Paitence and Stuart Bithell. In a hard fought two races the Australian pair finished third and fifth, to go into the penultimate day of racing one point ahead of the British crew. The 470 men’s class will head to Portland Harbour on Tuesday for the two final fleet races to decide the makeup of the medal race. Belcher and Page will be looking to extend their advantage over the fleet before the decider. Australia’s Women’s Match Racing crew will contest the quarterfinals on Tuesday, with the 470 men and women fleets also in action.